Whatever an audience might associate with Bill Cosby, Jell-O, “The Cosby Show,” “I Spy,” “Fat Albert and the Cosby Kids” or stand-up comedy, the man knows how to make people laugh. At 28, he created the characters Fat Albert and his friends the Cosby Kids, based on his childhood growing up in Philadelphia. The Emmy-winning cartoon “Fat Albert and the Cosby Kids” began airing in the 1970s and was made into a film in 2004. 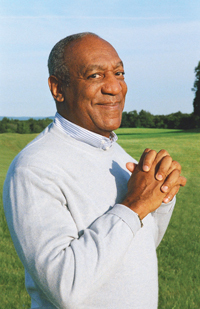 Cosby said he wished he had been more advanced about females in the show. Cosby said he is still discovering these stories truly make people smile and laugh. Other accomplishments include roles on the children’s educational show “Electric Company” and creating and producing the Emmy Award-winning “Little Bill,” which is based on Cosby’s bestselling book series. Cosby has received the Kennedy Center Honors, the Presidential Medal of Freedom, America’s highest civilian honor, the Mark Twain Prize for American Humor and the Marian Anderson Award. Cosby will perform at the Sun Valley Pavilion today, June 22, at 7:30 p.m. Tickets—which vary in price from $29 to $81.25—are available online at seats.sunvalley.com or by calling the Sun Valley Recreation Office at 622-2135.